HomeCommunications Social Impact Disruptive Media We’ve been named Best for Community! We’ve been named Best for Community! 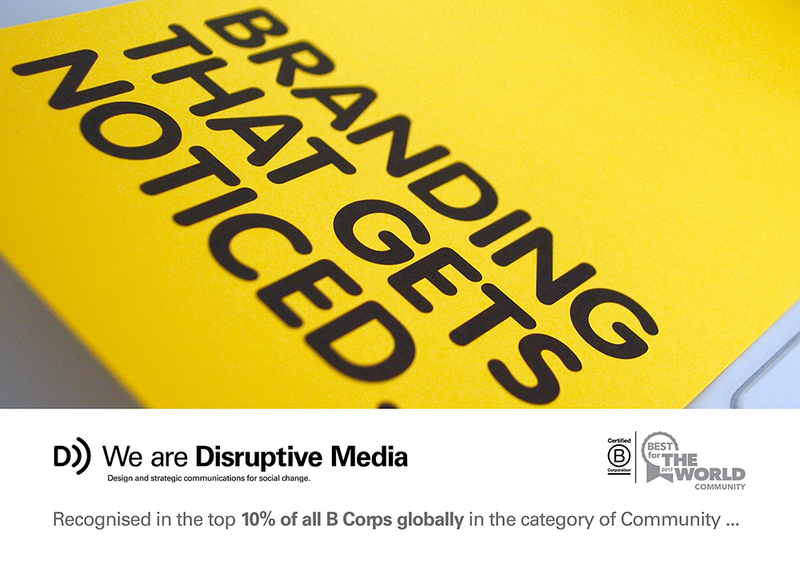 Disruptive Media has been recognised as among the companies creating the most positive community impact in the global B Corporation ‘Best for the World’ lists. We’ve been honoured in the Best for Community list, which means we earned a Community score in the top 10% of more than 2,100 Certified B Corporations worldwide. The lists are based on an independent, comprehensive assessment administered by the not-for-profit B Lab. To certify as a B Corporation, we underwent a full assessment of our work practices that measured our impact on our workers, community, clients and the environment. Becoming a B Corporation in 2016 was a natural extension of our approach to doing business. Social change has always been at the heart of what we do – so becoming a B Corp was like officially joining the community of social businesses seeking to make a difference and use business as a force for good. The Community portion of the B Corporation assessment evaluates a company’s supplier relations, diversity and involvement in the local community. It also measures the company’s practices and policies around community service and charitable giving. We made the Best for Community list thanks to our practices supporting social issues such as health services, education, and economic participation, as well as our significant contribution of more than 1200 pro bono hours donated to social projects we support in Australia and Timor-Leste, in the last 5 years alone. Best for the World is the only list of businesses making the greatest positive impact that uses comprehensive, comparable, third-party-validated data about a company’s social and environmental performance. The winning companies in the Community category come from 80 industries and 34 countries. Check out the full list of winners at bthechange.com, or find out more about becoming a B Corp yourself at bimpactassessment.net.